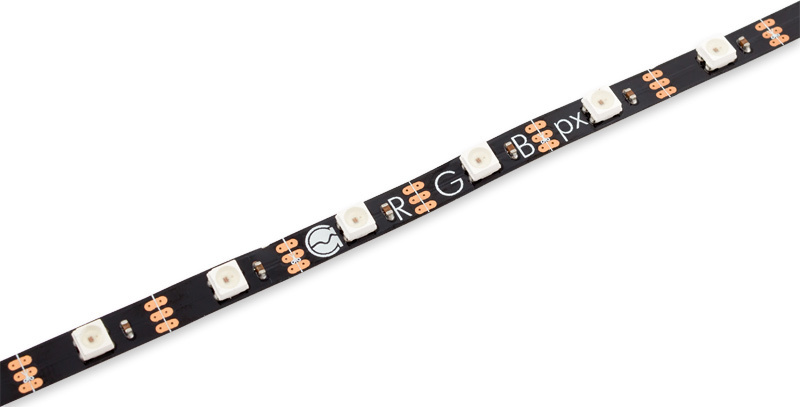 RGBpx compatible LED strip with individually addressable LEDs made by Aqua Computer. An Aqua Computer device with RGBpx output and a RGBpx cable is required for operation (not included in delivery). A connector at the end of the strip can be used to connect another RGBpx component consecutively. 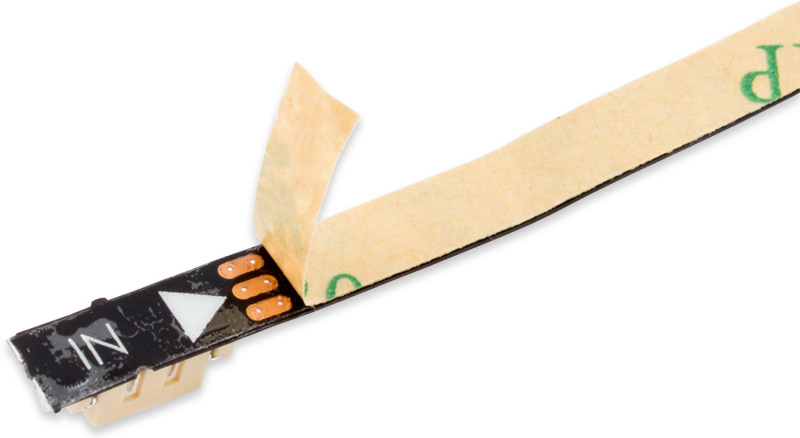 For easy installation, the rear side of the strip is equipped with self adhesive coating.